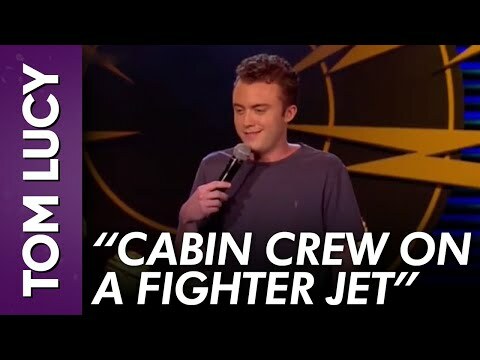 Still only 21 years old, Tom Lucy is one of the youngest professional comedians in the world. Having already established himself on the UK comedy circuit at clubs such as The Comedy Store, The Glee Club and Komedia, Lucy has had a remarkable impact on the scene since his first gig at the tender age of 16. As well as performing all over the UK, Lucy has toured internationally in the Middle East, Ireland, Switzerland, Germany and a stint at the world famous Comedy Cellar in New York, USA. In 2015, at the age of 18, Lucy became the youngest ever comedian to be signed to Off The Kerb – the UK’s biggest comedy agency. He went on to win the prestigious Leicester Mercury Comedian of the Year award in 2016 at just 19. In 2017, Lucy took his debut solo show to the Edinburgh Festival selling out the entire run, adding extra shows and winning The Sun’s Best New Comedian at the Fringe. The rest of the year saw him supporting Jack Whitehall on his UK & Ireland arena tour. In May 2018, Tom completed a sell-out residency at London’s Soho Theatre – his first solo headline shows in London. 2018 sees Tom supporting Kevin Bridges across the UK on his national tour and taking his second solo show to the Edinburgh Festival.